Want to download the NOUN CourseWare? If you want to download the NOUN Courseware for all courses, you have come to the right place. Here on Dailyschoolnews Nigeria, I will be giving you, the complete guidelines on how download the Courseware of NOUN in pdf, Docx for free. Follow this guideline and learn how you can easily download NOUN e-Courseware (Course Materials in PDF) for all courses. Take note that this is the latest e-course-ware of the National Open University of Nigeria (NOUN), and it is available for all NOUN courses. All candidates should take note that the National Open University of Nigeria, NOUN e-course-ware are the course materials which is made available for all registered students of the university to use for studying and to prepare for their various courses. The use of the NOUN Course should ONLY be for Educational purposes. All students should be aware that the e-Courseware is a store house of all available digital course material of the National Open University. The main aim why the e-course is made available is to help students in their course of studies. Students are required and must have Adobe acrobat reader installed on their browser to download the materials. Students should visit the library and search for the material they want in the search box. The material will pop up in a new window. After you’re through with reading it, simply close the window to return to the Courseware. If you wish to search through the Courseware for any course material, simply go to NOUN “Course Material“, via the search box. You can filter for the course material you want by Faculty, Semester and Level. If you have any enquiries, questions or unresolved issues regarding the e-Courseware library, please contact the Head web unit of the e-courseware by emailing oamadasun@noun.edu.ng (Please take note that only emails with respect to e-Courseware issues will be answered and not general Enquiries about the institution.Thank you). When emailing the Head web unit, make sure that the subject of the email should be “e-Courseware”. 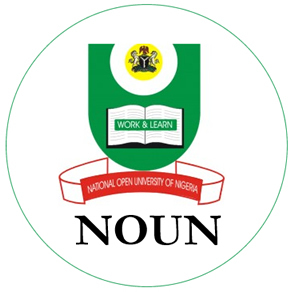 • All students of the National Open University of Nigeria, NOUN should take note that the NOUN course materials are all uploaded in PDF format. So you need to have a PDF reader in your phone, tablet, laptop or whatever device you’re using before you can access the e-courseware. • When it loads up, proceed and select any faculty you want to download the NOUN e-courseware from. • Take note that you can as well select the level of study and semester you want, if you want to download a specific courseware. • Finally, simply click on the course material you want to read and simply download it.